I have competent associates who can and will help you get the results you desire if I call on them. We are strategically located in the center of one of the most amazing markets in the world. Stick a pin in St. Charles IL, draw a circle 200 miles in radius (a day’s drive out and back) and you will find over 16 million people who buy, sell, live, work, play, and have their life surrounded by various forms of plantings, landscapes, roadsides, parks and forests. This huge market thrives on much of the nursery production in this area and for several states beyond. We can help you find what you need. 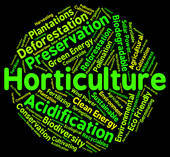 IMPORTANT NOTE: We are a wholesale nursery and sell only to nursery and landscape professionals. That is a gray area sometimes. If your shipment is “semi truck quantity” we can help you - maybe. It doesn’t hurt to call. I might tell you sorry, but I will always do it with a smile and a lead as to where you might go. Will these plants grow where I am? I am asked all the time where certain plants are grown. Many times they are grown out of your climate zone. This causes some concern by some people. There is a proper botanical and physiological perspective on this. 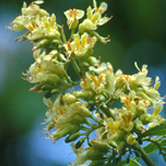 If it is genetically a plant adapted to our region it will grow and prosper virtually no matter where it is grown. 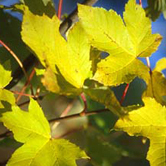 If an Autumn Blaze Maple is grown in Florida and is planted early enough to go to sleep in the fall in the same time frame as all the other trees (this usually means spring dug, shipped in and planted later) it will do as well as a tree grown in North Dakota. It’s all in the genes. If the genetics are right it’ll grow here. If the genetics are wrong it won’t. That’s why even some Rhododendron’s that are grown here don’t do well. They grow in a good climate but genetically are they are all wrong. The reputation southern grown material has to do with fall planted material in a meristomatic state (not yet dormant) that is forced to go dormant faster than it normally would in the fall. You end up with damage. Of course, 25 degrees in August can kill a tree or set it back even if it’s fully native here. There are some trees which by genus and species are supposedly hardy, but which are genetically adapted to their geography and therefore don’t do well in ours. 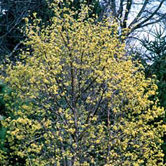 A prime example is Acer rubrum from a native seedling. 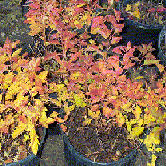 A southern native seedling Rubrum will perform poorly in a northern Illinois climate. But a Red Sunset doesn’t care. It’s selected from stock hardy in IL. And, it’s a clone no matter where it’s grown. It’s all in the genes. Don't get too hung up miles from your planting project, get hung up on where the plant can prosper. This year we realigned our nursery production to focus on native plants. We are convinced that this market will continue to grow. In addition we trade with other native growers nationally in finding additional producers of native product. This is a category that continues to expand rapidly.We have created 100+ variety xeric, mesic and wetland landscape plantings. My own yard is made up entirely of native plants. I challenge anyone to find it less attractive than any other landscape planting. The Native Nursery button on the left is the Native Plant Production program and prices. We find specials. Deals, clearance, nursery cleanups at sometimes nearly auction pricing; things that must to be sold. Take a look at our specials button. We have some plants at prices that we know will work for you. If you want to be on our instant deals fax list let me know by fax or email and you will have immediate knowledge of some short-term huge deals as they come up. Sometimes they only last a day or two. It's good to be on the list. We are experts in nursery values based on our ongoing nursery activity and a detailed study of what is happening. You will want to consider us as nursery experts. We also help nurseries in the process of being bought or sold. Putting the right price on things makes all the difference. We are a wholesale Nursery. 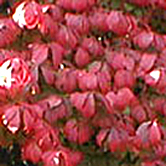 We sell ONLY to the Wholesale and Professional Landscape Horticultural Trade. We are growers, Brokers, Buyers, Sellers, Agents, Sales Reps and surplus inventory Liquidators. We sell everything from Liners, seedlings, small and large container plants, B&B shrubs and trees, evergreens and everything in between. Native Plants and seedlings are my specialty. I am blessed of God to find myself in a business I love so much. My wish for you is that you be Blessed as well. 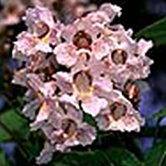 Gene Redlin Plant Sales is referred to as "we" throughout most of this website. While most of the contact and effort is just me, Gene Redlin - personally.